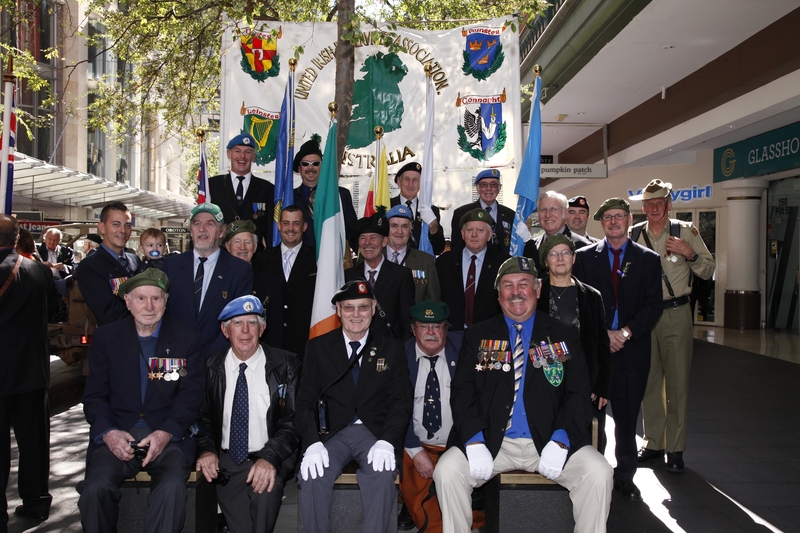 Our organisation which is based in Sydney, Australia brings together Irish ex-defence forces, our allies and their families now living downunder. A grand day in Sydney enjoyed by all. Beautiful weather and huge support by the crowds who applauded us as we marched by. One of the people in the crowd shouted out “Up the Irish” – we took it as a compliment! We may be a small contingent every ANZAC Day but my God we are proud. And afterwards creat craic in the Gaelic Club where we told jokes and stories about old times!